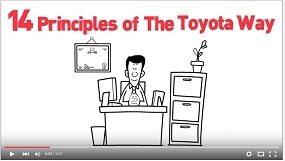 This video is our Lean Guide for the Lean Manufacturing implementation. In this video I tried to concentrate the Lean Production Journey. Everything start from the production, you and the customer. in this video there are a lot of key concepts. This is a Lean Production Guide that will help to follow a path.